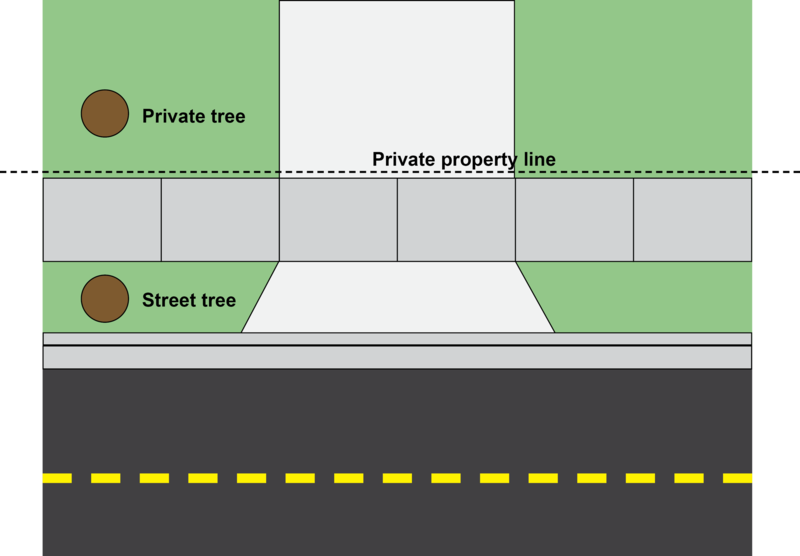 As a reminder, any street tree removed as part of the sidewalk repair program will be replaced once sidewalk construction is complete with a tree from the City’s Approved Street Trees List. Property owners may or may not elect to replace trees removed on their private property. We are writing to notify you that as part of your participation in the City of San Rafael Sidewalk Repair Program, you have a street tree that requires removal prior to repair of your sidewalk. Any tree(s) identified for removal have been sprayed with a white dot at the base of the tree facing the sidewalk. All trees that are marked will be removed by the City’s tree contractor, Jorge’s Tree Service January through February 2019. You will not receive additional notice prior to removal. If you believe a tree has been marked in error or if you have additional questions prior to removal you must contact the Department of Public Works before Friday, January 4, 2019 via email at www.cityofsanrafael.org/contactDPW or by phone (415) 485-3354. After the sidewalk construction work is complete, property owners will receive a notice from the City to select a replacement tree off of the City’s Approved Street Trees List. The list includes only trees with deeper, sidewalk-friendly roots. This list as well as additional information can be found on our website at www.cityofsanrafael.org/sidewalks. All necessary street tree removals and replacements will be done at the City’s cost. However, property owners will be responsible for watering and maintaining the replacement street tree. We are writing to notify you that as part of your participation in the City of San Rafael Sidewalk Repair Program, you have a tree on private property that requires removal prior to your sidewalk repair. Trees identified for removal have been sprayed with a white dot at the base of the tree facing the sidewalk. All private trees that are marked must be removed by January 25, 2019. Sidewalk construction cannot take place until the tree is removed. Property owners are responsible for the removal, including cost of removal, of trees on private property (the City cannot do work on private property). Property owners may contact any licensed tree contractor, or independently contact the City’s tree contractor, Jorge’s Tree Service. Please note: if you are removing a tree on private property but must close the sidewalk to do so, a no-fee encroachment permit is required from the Department of Public Works. 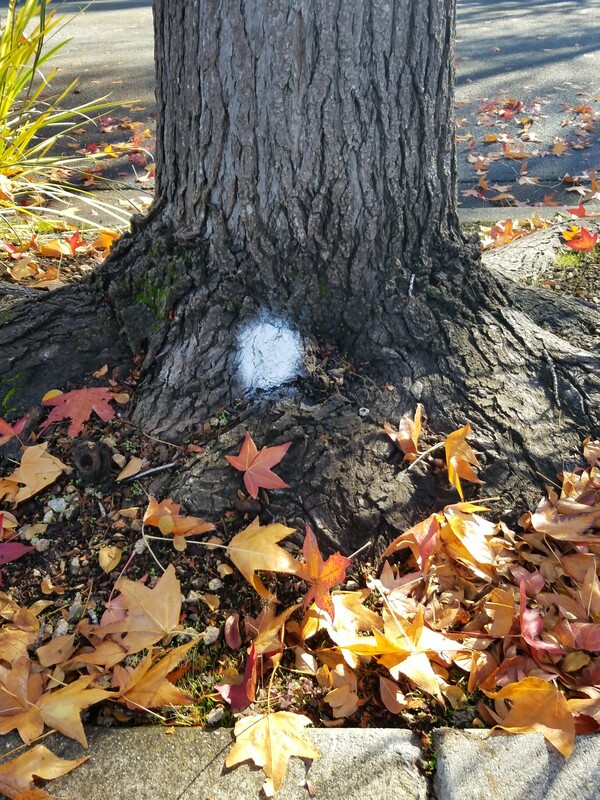 If you believe a tree has been marked in error or if you have additional questions prior to removal you must contact the Department of Public Works before Friday, January 4, 2019 via email at www.cityofsanrafael.org/contactDPW or by phone (415) 485-3354. Failure to remove your tree by January 25, 2019 may result in delays to your sidewalk repair.